Jerseys Gameday Grill is a premier Sports Bar & restaurant that was created to have a fun and comfortable atmosphere. Jersey's fans have a place for a quick lunch, a couple of beers, or a fun night out with the crew. 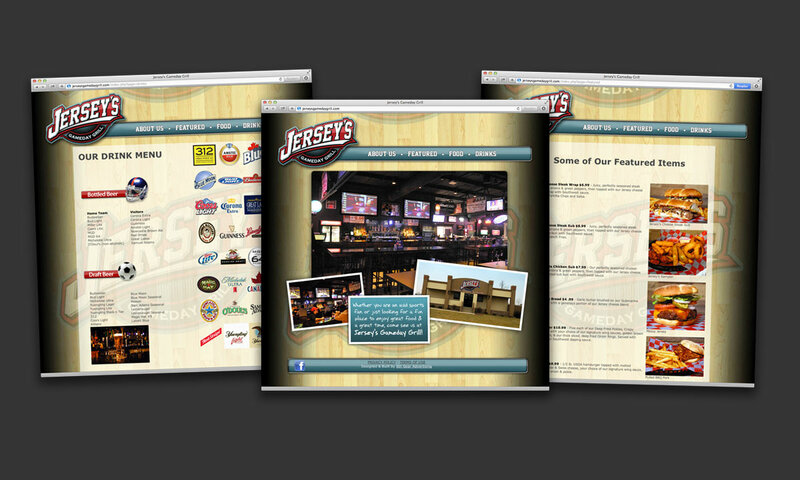 Jersey's Gameday Grill, a local sports bar, was in need of a website to go along with their new establishment and menu.